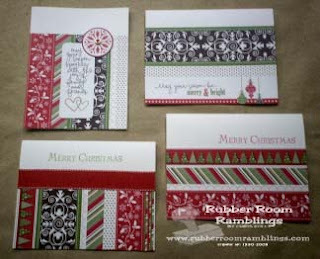 Rubber Room Ramblings: ONE-HALF OF CHIRSTMAS JINGLE SIMPLY SCRAPPIN' KIT! 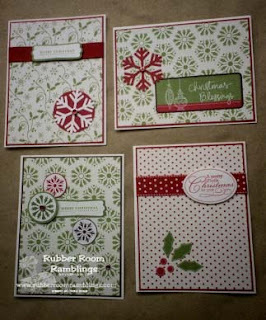 ONE-HALF OF CHIRSTMAS JINGLE SIMPLY SCRAPPIN' KIT! 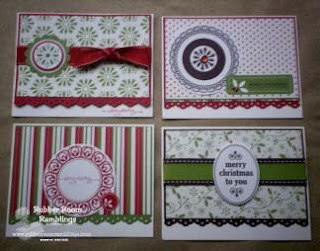 Here are the twenty (20) cards that Michelle and I made useing one-half of the Christmas Jingle Simply Scrappin' Kit! We also made two boxes (see the post above). Both of the boxes will hold ten cards and ten envelopes. 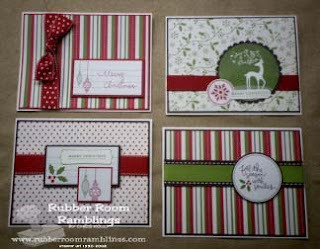 The Christmas Jingle Simply Scrappin' Kit can be found on page 165 of the current Stampin' Up! 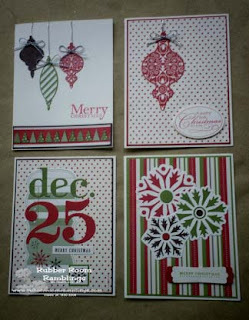 Idea Book and Catalog, as well as page 23 of the current Holiday Mini Catalog. 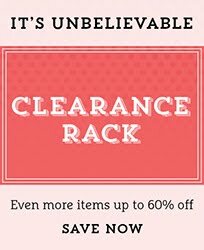 The cost of the kit is $19.95 and the order number is 115696. 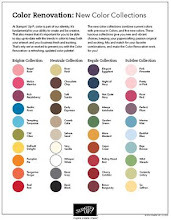 You can order your kit 24/7 with my Online Ordering button at the very top of the right side bar of this blog! Hold a qualifying workshop in September, and you can purchase this scrappin' kit for only $10. Contact me for details on this hostess special!